Wikimedia Commons has media related to 1689 . 1689 ( MDCLXXXIX ) was a common year starting on Saturday of the Gregorian calendar and a common year starting on Tuesday of the Julian calendar , the 1689th year of the Common Era (CE) and Anno Domini (AD) designations, the 689th year of the 2nd millennium , the 89th year of the 17th century , and the 10th and last year of the 1680s decade. 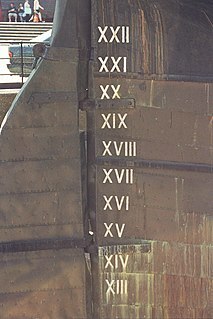 As of the start of 1689, the Gregorian calendar was 10 days ahead of the Julian calendar, which remained in localized use until 1923. March 22 (March 12 O.S.) 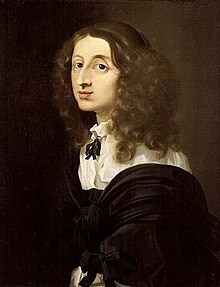 – Start of the Williamite War in Ireland: The deposed James II of England lands with 6,000 French soldiers in Ireland, where there is a Catholic majority, hoping to use it as the base for a counter-coup. However, many Irish Catholics see him as an agent of Louis XIV of France, and refuse to support him. April 11 (O.S.) – William III and Mary II are crowned in London as King and Queen of England, Scotland and Ireland. Ireland does not recognise them yet, while the Estates of Scotland declare King James VII of Scotland deposed. The 1689 Boston revolt was a popular uprising on April 18, 1689 against the rule of Sir Edmund Andros, the governor of the Dominion of New England. A well-organized "mob" of provincial militia and citizens formed in the town of Boston, the capital of the dominion, and arrested dominion officials. Members of the Church of England were also taken into custody if they were believed to sympathize with the administration of the dominion. Neither faction sustained casualties during the revolt. Leaders of the former Massachusetts Bay Colony then reclaimed control of the government. In other colonies, members of governments displaced by the dominion were returned to power. The Dominion of New England in America (1686–89) was an administrative union of English colonies covering New England and the Mid-Atlantic Colonies. Its political structure represented centralized control similar to the model used by the Spanish monarchy through the Viceroyalty of New Spain. The dominion was unacceptable to most colonists because they deeply resented being stripped of their rights and having their colonial charters revoked. Governor Sir Edmund Andros tried to make legal and structural changes, but most of these were undone and the Dominion was overthrown as soon as word was received that King James had left the throne in England. One notable change was the introduction of the Church of England into Massachusetts, whose Puritan leaders had previously refused to allow it any sort of foothold. Sir Edmund Andros was an English colonial administrator in North America. He was the governor of the Dominion of New England during most of its three-year existence. At other times, Andros served as governor of the provinces of New York, East and West Jersey, Virginia, and Maryland. August 12 – Innocent XI (Benedetto Odescalchi; 1611–1689), Pope since 1676, dies. A man of integrity who has been described[ by whom? ] as the greatest Pope of the 17th century, he played a major part in founding both the League of Augsburg, against Louis XIV, and the Holy League, against the Ottoman Empire. July 25 is the 206th day of the year in the Gregorian calendar. There are 159 days remaining until the end of the year. 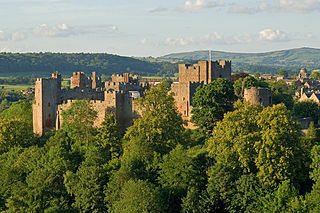 The Court of the Council in the Dominion and Principality of Wales, and the Marches of the same, commonly called the Council of Wales and the Marches was a regional administrative body based in Ludlow Castle within the Kingdom of England between the 15th and 17th centuries, similar to the Council of the North. Its area of responsibility varied but generally covered all of modern Wales and the Welsh Marches of Shropshire, Herefordshire, Worcestershire, Cheshire and Gloucestershire/Bristol. 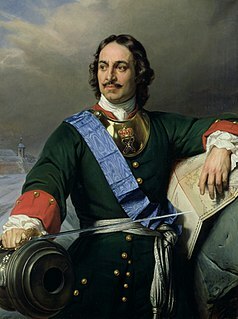 Peter the Great, Peter I or Peter Alexeyevich ruled the Tsardom of Russia and later the Russian Empire from 7 May [O.S. 27 April] 1682 until his death in 1725, jointly ruling before 1696 with his elder half-brother, Ivan V. Through a number of successful wars, he expanded the Tsardom into a much larger empire that became a major European power and also laid the groundwork for the Russian navy after capturing ports at Azov and the Baltic Sea. He led a cultural revolution that replaced some of the traditionalist and medieval social and political systems with ones that were modern, scientific, Westernised and based on the Enlightenment. Peter's reforms made a lasting impact on Russia, and many institutions of Russian government trace their origins to his reign. He is also known for founding and developing the city of Saint Petersburg, which remained the capital of Russia until 1917. January 18 is the 18th day of the year in the Gregorian calendar. There are 347 days remaining until the end of the year. 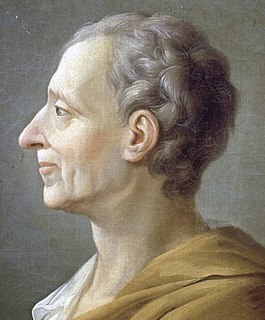 Charles-Louis de Secondat, Baron de La Brède et de Montesquieu, generally referred to as simply Montesquieu, was a French judge, man of letters, and political philosopher. 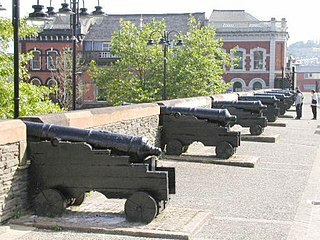 The Siege of Derry was the first major event in the Williamite War in Ireland. The siege was preceded by a first attempt against the town by Jacobite forces on 7 December 1688 that was foiled when 13 apprentices shut the gates. The second attempt began when James II himself appeared before the walls on 18 April 1689 and lasted 105 days until 1 August. It ended after ships bringing food broke through to the town. The siege is commemorated yearly by the Protestant community. Robert Lundy,, was a Scottish army officer best known for serving as Governor of Londonderry during the early stages of the Siege of Derry. 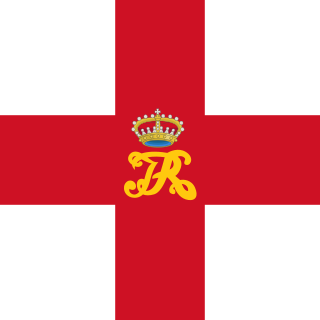 A Williamite is a follower of King William III of England who deposed King James II in the Glorious Revolution. William, the Stadtholder of the Dutch Republic, replaced James with the support of English Whigs. Limerick, a city in western Ireland, was besieged twice in the Williamite War in Ireland, 1689-1691. On the first of these occasions, in August to September 1691, its Jacobite defenders retreated to the city after their defeat at the Battle of the Boyne. The Williamites, under William III, tried to take Limerick by storm, but were driven off and had to retire into their winter quarters. Events from the year 1689 in England. Events from the year 1689 in Ireland. The Siege of Carrickfergus took place in August 1689 when a force of Williamite troops under Marshal Schomberg landed and laid siege to the Jacobite garrison of Carrickfergus in Ireland. After a week the Jacobites surrendered, and were allowed to march out with the honours of war. Solomon Richards was an Irish soldier of the War of the Three Kingdoms and the Williamite War in Ireland. He is best known for his part in a failed attempt to relieve the Siege of Derry in 1689. William Dorrington was an English army officer of the seventeenth century, known for service in the Jacobite cause of James II. Dorrington rose to the rank of Major General in the Irish Army, fighting in the Williamite War. Dominic Sheldon, often written as Dominick Sheldon, was an English soldier. A leading Jacobite he served in James II's Irish Army during the Williamite War between 1689 and 1691. He was a noted cavalry commander, present at the Battle of the Boyne and Battle of Aughrim. Later after going into exile, he rose to the rank of Lieutenant General in the French Army. 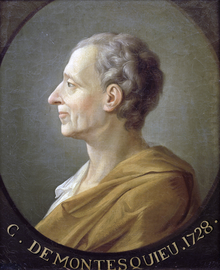 He was also remained a prominent courtier at the Jacobite court in exile at Saint Germain. 1 2 Kenyon, J. P. (1978). Stuart England. Harmondsworth: Penguin Books. ISBN 0-14-022076-3. ↑ Miller, John (2000). James II. Yale English monarchs (3rd ed.). New Haven: Yale University Press. pp. 222–227. ISBN 0-300-08728-4. ↑ "The Siege of Derry in Ulster Protestant mythology". Cruithni. 2001-12-31. Retrieved 2012-07-16. ↑ Lynn, John A. (1999). 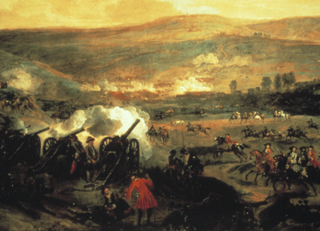 The Wars of Louis XIV, 1667–1714. Harlow: Longman. p. 203. ISBN 0-582-05629-2. ↑ "Parades and Marches - Chronology 2: Historical Dates and Events". Conflict Archive on the Internet (CAIN). Retrieved 2010-01-28. ↑ "Liverpool Castle". Mike Royden's Local History Pages. Archived from the original on July 19, 2012. Retrieved 2012-07-16.